Anna Visser is the Director of EAPN Ireland. 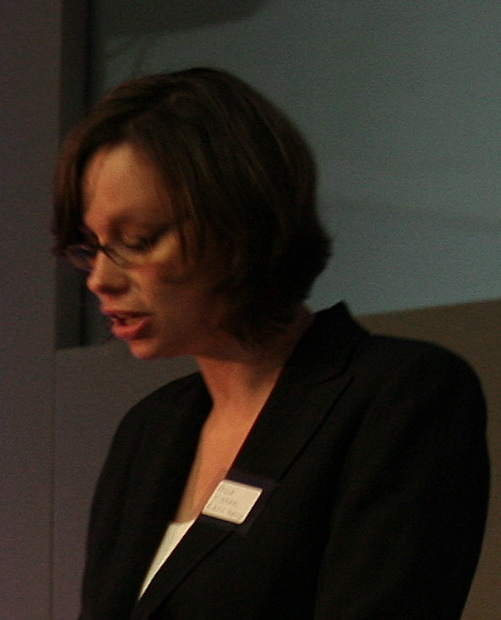 Before joining EAPN Ireland in January 2008, Anna worked as Senior Policy Officer for the European Network against Racism (ENAR) in Brussels. Anna has worked in policy roles in the statutory and NGO sectors at regional, national and international level, in the areas of anti-racism, equality, human rights and conflict resolution. Anna is a member of the steering committees of the Community Platform and the Equality and Rights Alliance, and a board member of the Migrant Rights Centre Ireland. Today (19/02/10) the Irish Government will launch its programme for the European Year for Combating Poverty and Social Exclusion. The 2010 year is an opportunity for the Irish state and the European Union to send out a powerful and ambitious message that poverty has no place in modern Europe. For the 80 million men, women and children who still live in poverty in the European Union, the 2010 year can offer hope and the chance of a better future. As we emerge from a socially and economically tumultuous decade, it is understandable that many people look towards national and European politics with a sense of scepticism and detachment. An economic model that provided so much certainty has fallen into crisis, suddenly and brutally demonstrating the vagaries of the market in everyday lives; unemployment, cuts to services, debt and hardship. At a national level, the 2010 Year can play an important role in tackling the destructive legacy of the economic crash, as well as addressing structural social problems such as long-term unemployment and exclusion. To determine how best to engage with these issues, it is useful to examine what has been achieved in the fight against poverty and social exclusion so far. Recent data shows that successive Irish governments, in cooperation with the European Union, have made considerable progress in tackling poverty in Ireland. Relative poverty decreased year on year and now stands at 14.4%, down from 21% in 2001. Significantly, consistent poverty has been reduced to 4.2%, and the Government is now within touching distance of its stated objective of reducing consistent poverty to between 2 and 4% by 2012 and eliminating it entirely by 2016. Now that we no longer “have it” Ireland needs to learn from the mistakes of the past, and articulate a sustainable and people focused vision for the future. The 2010 European Year for Combating Poverty and Social Exclusion represents a major opportunity to develop a vision of a better Ireland while contributing to the development of a European Union that can finally make a decisive impact on poverty at home and globally. While a social focus has not always come naturally to the European Union, Ireland has a strong and commendable track record in contributing to a more progressive European social agenda. Ireland was a key player in the development of robust European equality legislation and our representatives have had a substantial impact in progressing social objectives within the Union. Similarly, the social clause in the Lisbon Treaty was negotiated during the last Irish Presidency of the EU in 2004. Ireland’s participation in Europe has generated positive and progressive social outcomes, for us as well as our neighbours, such as gender equality in the workplace and stronger anti-discrimination legislation. In recent years however, the Irish state and its negotiators have not always played the same positive role as their predecessors in promoting the EU’s social agenda. Ireland’s lukewarm commitment to that agenda is reflected even more starkly in its decision making at home. The Government is committed to supporting the 2010 Year and has allocated time and resources to developing a national programme. Despite that apparent commitment, decisions made in the last eighteen months – the downgrading of the community development programme, the closure of the Combat Poverty Agency, reductions in benefits for vulnerable people – will seriously damage the state’s capacity to tackle poverty and social exclusion at the very time that it is most urgently needed. The social and economic fortunes of Ireland and the European Union are bound together. The 2010 Year will see the negotiation and adoption of a new Lisbon Strategy, a common programme for all member states and a roadmap for our collective recovery over the next ten years. Ireland has a major opportunity to lead the way in calling for an ambitious new agenda that prioritises people, society, and quality of life ahead of profits, property and the primacy of the market. We will spend many years examining the lessons of the past, but 2010 is a chance to set out a powerful and progressive vision for the future; one that has the potential to genuinely unite people in a common project to create fairer, sustainable, more equal societies in Ireland and across the European Union.